Applied Information and AT&T will make school zones safer and more reliable for school children across Georgia with smart IoT beacon technology. ATLANTA — The Georgia Department of Transportation (GDOT) has installed new system from Applied Information to improve road safety in school zones across Georgia, with the company’s smart beacon product, powered by AT&T connectivity. Georgia is the first state to deploy Applied Information’s IoT technology for school districts statewide. The unique program connects school zone beacons—those flashing signs that are intended to slow drivers down as they pass by a school—to the Internet of Things (IoT). That will make them more reliable and more responsive in the event of a change of schedule caused by inclement weather, biannual time changes, holidays or other disruptions. The Glance School Zone Beacon System was developed by Applied Information, in collaboration with AT&T for secure wireless connectivity and Temple, Inc., for installation and maintenance. The technology is being installed at more than 300 schools in 118 Georgia counties in time for the first bell of the 2018 school year. Each smart beacon has its own cellular modem to handle all communication, which enables traffic engineers using their smart phone or tablet to determine if the beacons are operating correctly. If not, it will instantly alert the appropriate resources in the event of lamp or battery failures. AT&T’s 4G/LTE mobile network will power the smart beacons, while AT&T’s IoT platform, AT&T Control Center, will be used to manage the solution on the back-end. Georgia School Beacon Map from Glance Smart Cities. 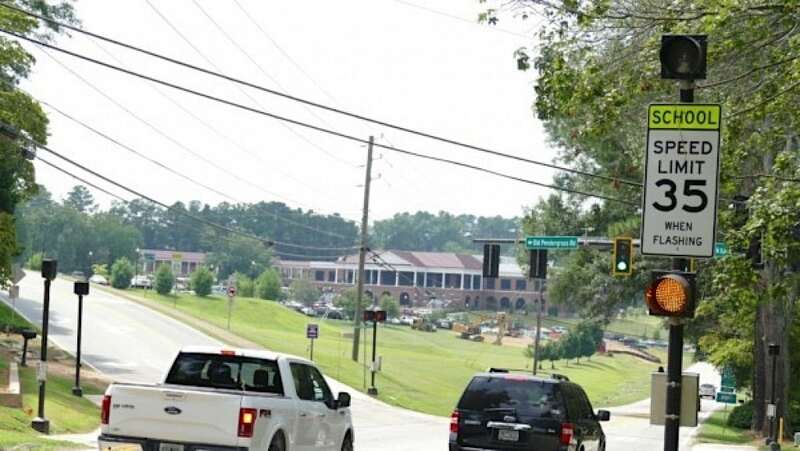 “Making school zone beacons smarter is a perfect example of how we can use connected technology to improve safety on our roadways,” said Bryan Mulligan, president of Applied Information, Inc. “GDOT is to be commended for taking the lead to improve safety around school zones on such a large-scale and in such a short amount of time, to be prepared for the new school year. The Applied Information and AT&T collaboration provides a complete suite of Glance Smart Cities connected transportation technologies. Those include: emergency vehicle traffic signal preemption, bus rapid transit signal priority, connected crosswalks, smart school zone beacons, connected traffic calming device and the TravelSafely smart phone app.